It's the dream of every parent to see their children excel in school and progress through the grades without repetition. As a parent, you can complement the work of a teacher and develop your child's learning by improving reading and spelling abilities teaching your child mathematics or English language at home, demonstrating organization and study skills, or explaining a difficult problem. Children whose parents are involved in their learning activities have higher scores in test and get better grades. The more you are involved in your child's education, the more your child will benefit. Research shows parent involvement in school activities help to raise teachersâ€™ morale, improve the quality of school and keep children in school. 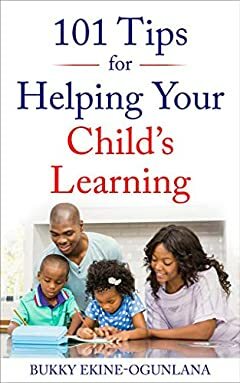 This book 101 tips for helping your child's learning is written for every parent to guide children, and make them sound both at home and school.